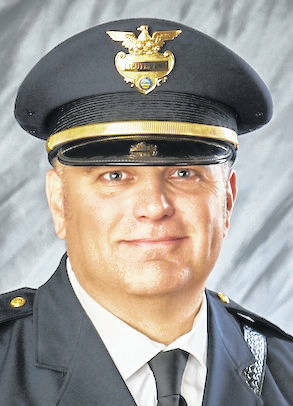 WESTERVILLE — Lieutenant Charles C. Chandler of the Westerville Division of Police has been appointed by Governor John Kasich to the Ohio Criminal Sentencing Commission for a two-year term, beginning June 18, 2018 and ending Aug. 21, 2020. The Ohio Criminal Sentencing Commission is an affiliated office of the Supreme Court that seeks to enhance justice and ensure fair sentencing in the state of Ohio. In partnership with a diverse range of professionals in the criminal justice system, the commission routinely works to build bipartisan consensus in considering new proposals and advancing recommendations. Chandler is a 23-year law enforcement professional, currently overseeing the WPD Investigations Bureau. Prior to joining WPD in 2001, Chandler worked with law enforcement agencies in Mount Gilead and Marion. The Commission is chaired by Chief Justice of the Ohio Supreme Court Maureen O’Connor and comprised of judges, attorneys, behavioral health professionals, corrections officials, victim advocates and others who work in criminal sentencing. Among other objectives, the Commission studies Ohio’s criminal laws, sentencing patterns and juvenile offender dispositions. Westerville Chief of Police Joseph Morbitzer says Chandler is a strong addition to the Commission because he personifies the department’s core values: integrity, commitment, accountability, respect and empathy. Chandler is a graduate of Highland High School. He holds a Master of Science degree in Criminal Justice Administration from Columbia Southern University and is a graduate of the Northwestern University School of Police Staff and Command. Chandler resides with his family in Cardington, Ohio.